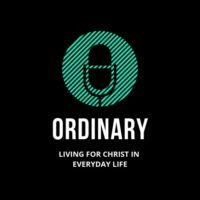 Ordinary is a podcast that aims to help Christians live for Christ in everyday life. Each week Josh Bannister talks to Graham Nicholls and Mark Ventham, pastors at Christ Church Haywards Heath, in West Sussex, England. This week we are talking about the purpose of church, particularly the local church, some of the patterns we see in church life, but also the freedom there is in the different expressions of church life. We talk about whether church is optional for believers.